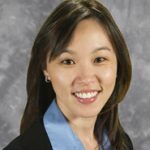 Dr. Vicki Chan | Seeing Clearly | Radio | Carly Snyder, M.D. 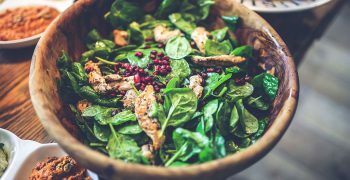 Posted November 12, 2018 by Carly Snyder, M.D. This week on MD for Moms, I’ll be interviewing opens in a new window LA-based ophthalmologist Dr. Vicki Chan about what else but the eyes! We have all heard that the eyes are the window to the soul, but did know the eyes can also help diagnose systemic diseases? An eye exam can tell if someone has high blood pressure, diabetes, autoimmune disorders like Lupus, some forms of cancer and brain tumors, thyroid disorders and much more. An eye exam can also disclose specific issues of the eye such as glaucoma, cataracts, and retinal problems. Children also need eye exams to evaluate for things like lazy eye, near or farsightedness and cross eyes. Dr. Chan will explain why we should protect and care for our eyes, when to see an ophthalmologist, common signs and symptoms of eye disorders like glaucoma and more. Have a question for Dr. Vicki Chan about your eyes? 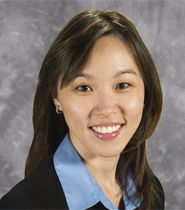 Dr. Chan obtained her undergraduate degree in psychobiology from the University of Southern California in Los Angeles and her medical degree from Johns Hopkins University, Baltimore, MD. She completed her internship in internal medicine at Johns Hopkins Hospital in Baltimore and her residency and fellowship in ophthalmology at the Jules Stein Eye Institute at the University of California at Los Angeles. She is currently in the private practice of ophthalmology at the Macy Eye Center in Los Angeles. She is also a staff physician at Kaiser Permanente Hospital in Harbor City and West Los Angeles, and a consulting physician at Harbor-UCLA Medical Center.